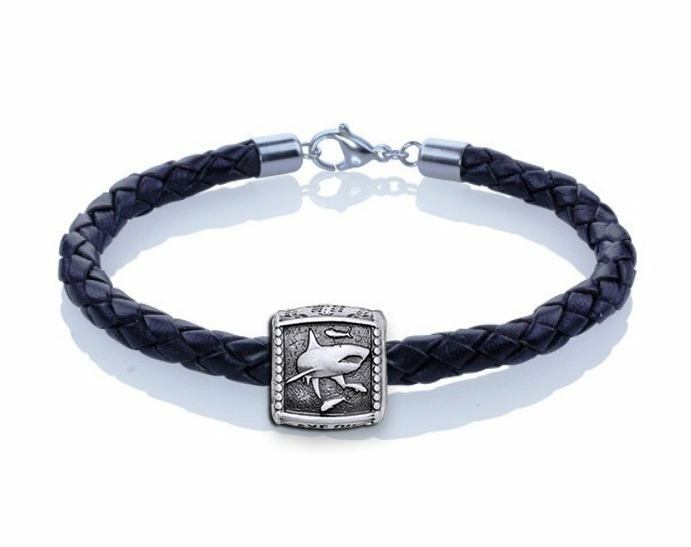 Shark Trophy Slide Leather Bracelet. 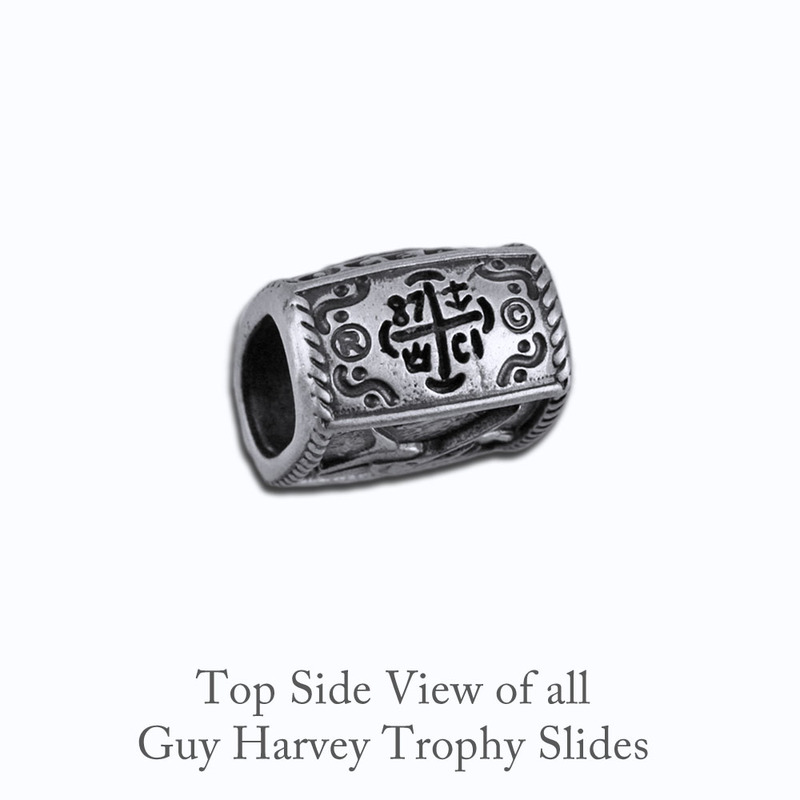 Choose the color of the braided leather bracelet to go with your Trophy Slide. 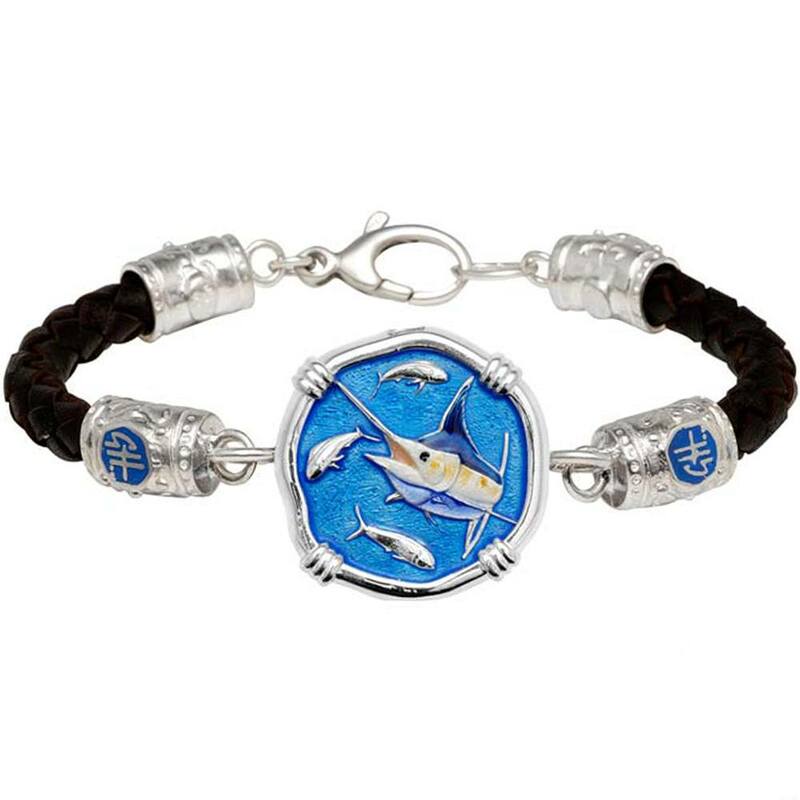 Shark Trophy Slide Leather Bracelet. 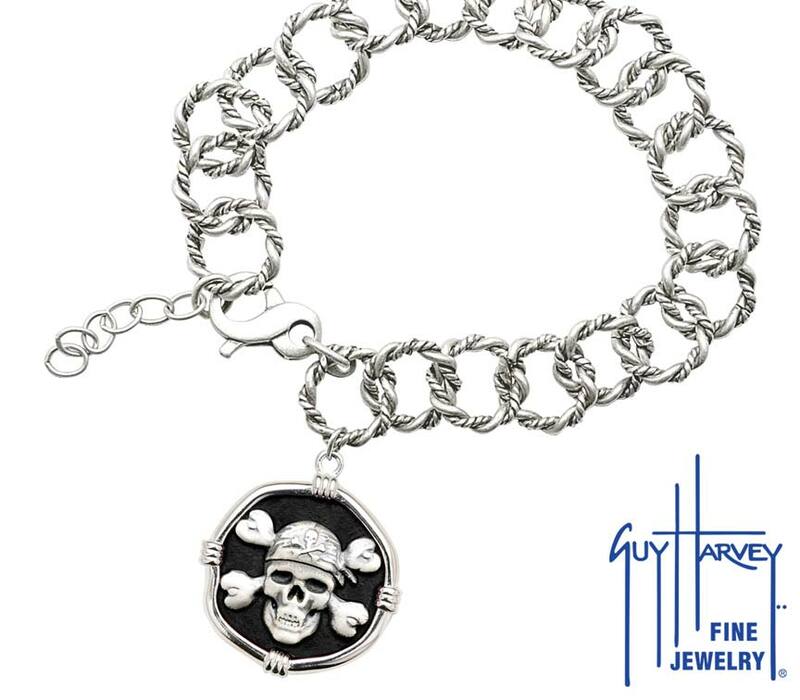 Choose the color of the braided leather bracelet to go with your Trophy Slide. 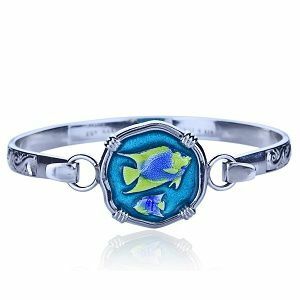 Bracelets are available in 7" or 8" lengths and feature a sterling silver lobster style clasp. 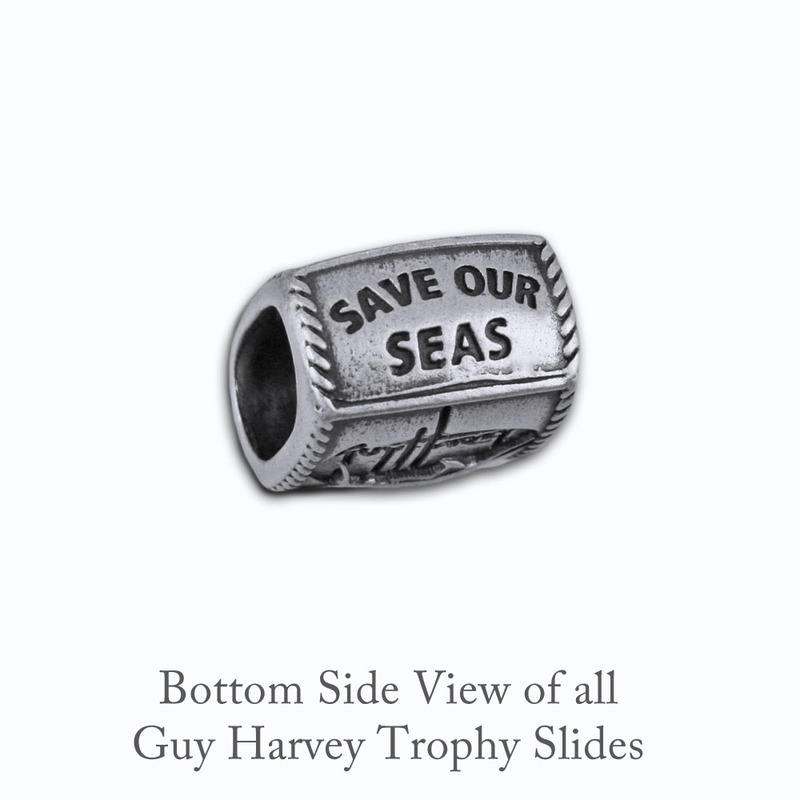 Guy Harvey Ocean Foundation insignia is featured on reverse side of Trophy Slide, with "Save Our Seas" and nautical design on top and bottom. 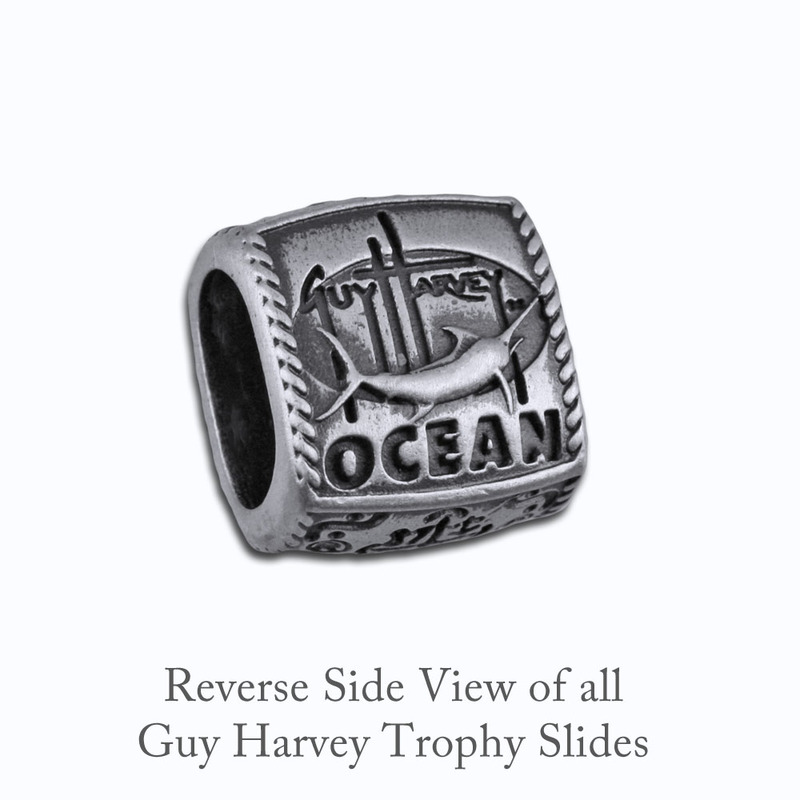 Trophy Slides are 13mm wide, 14mm high, and 9mm deep. 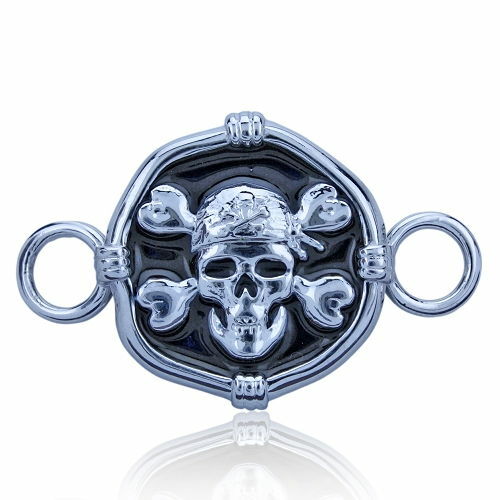 Hole opening is 6mm x 9mm.